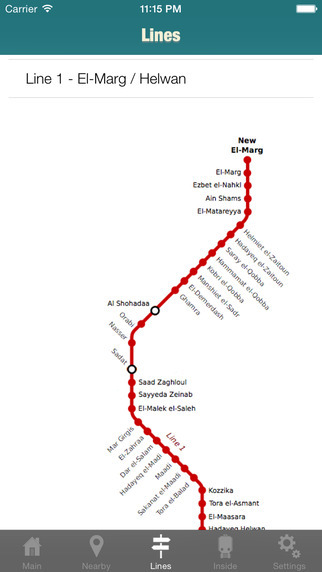 Cairo Metro is the first iPhone application for the subway Metro lines in Egypt. 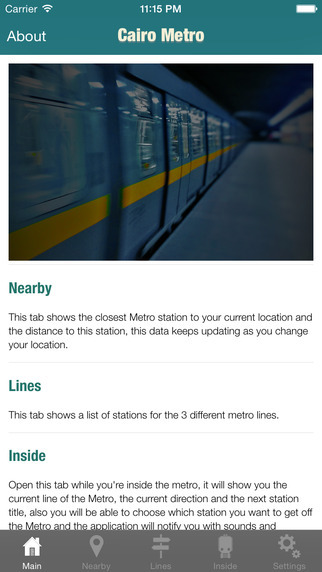 This application provides a lot of useful services which help the Metro users and provide them with information about the Metro lines and stations. - Information about the location of the nearest Metro station and the directions to goto it. - Maps for the Metro stations. - Very useful services for the Inside Metro passengers and information about stations. - No need for internet connection. - Available in 2 languages: Arabic / English.